May not look like much here, but this is going to warm one of my hands one day. 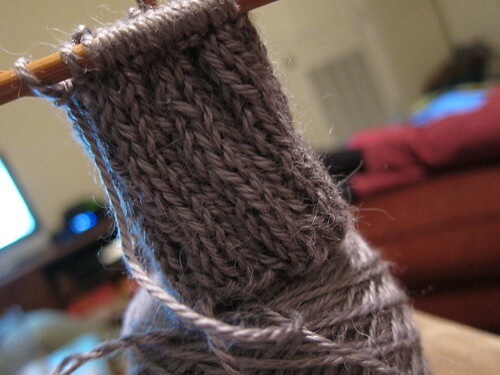 I’m using the ribbed hand warmers pattern from Purl Bee, except that I’m using size 6 needles. 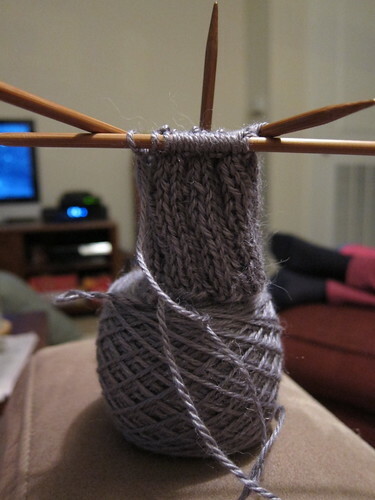 I can’t imagine using smaller needles since this one hand is already taking me so long. This is my first time using double pointed needles, so didn’t attempt a thumb and went with a pattern that just had a thumb hole. Baby steps. Here was my view for most of the weekend. Do you see Rio in the background? Yup it was Oscar nominated, so I watched it while working on these handwarmers. 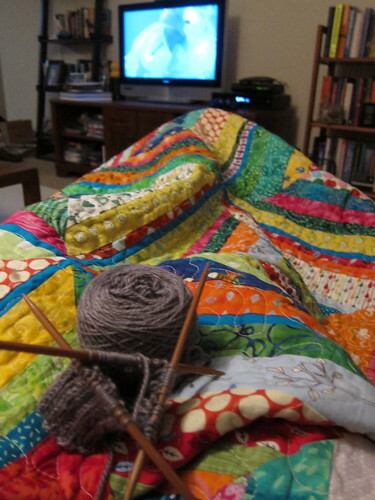 This entry was posted in Crafting and tagged hand warmers, Knitting, Movie Watching, Purl Bee. Bookmark the permalink. That yarn is so pretty in the photos. I am also knitting on the double points now and am very nervous that I am going to poke my eye out, even though the needles are not anywhere near my face. Excited to see the finished product!